The third and final EP from the latest album of HVOB is due for release on September 18. HVOB's album "Trialog" was released in spring this year and continues to attract unwavering international interest. The interdisciplinary art project prompting an invitation to perform a Boiler Room set in Vienna, touted by American Thump magazine as a contender for an "Album of the Year" award is a perennial headliner on influential blogs and media such as XLR8R, Resident Advisor, i-D and ARTE after charting high on Beatport and iTunes. At the same time HVOB's world-wide tour continues to gather momentum, with concerts in cities from Cape Town and New York to Hong Kong and New Delhi. The third and final EP from the "Trialog" album, "Tender Skin/The Anxiety to please", is now set for release on September 18. None other than Scuba and DJ Tennis have been enlisted to remix the double A side, the seventh EP from the electronic duo: Scuba manages to transform the fragility of "The Anxiety to please" into a subdued powerfulness, while the DJ Tennis remix of "Tender Skin" is similarly powerful and technoid. 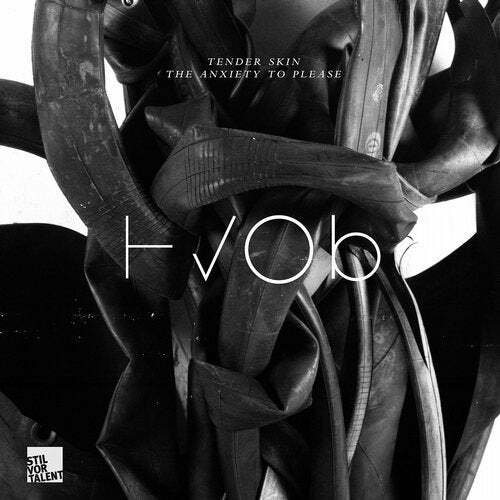 "Tender Skin/The Anxiety to please" is released on September 18 as a double A side, on vinyl and digital on Stil vor Talent. About "Trialog" HVOB's second album "Trialog" is an interdisciplinary art project based on ten trialogues inspired by sound, video and installation and is a collaboration between HVOB and VJs lichterloh and visual artist Clemens Wolf. The work revolves around ten ubiquitous physical processes, documented and interpreted on three artistic levels; the processes staged by Clemens Wolf, the texts and sounds of the HVOB tracks, the visuals of VJs lichterloh: tearing, blending, bursting, melting, oxidation, breaking, imploding, etching, bending, burning, from track to video, video to artwork, artwork to track. About HVOB HVOB are Anna Müller and Paul Wallner. Since forming in 2013, the duo have established themselves on the international electronic music scene not just with their releases, but more significantly as a live act as well. HVOB perform live on stage and always with a drummer.